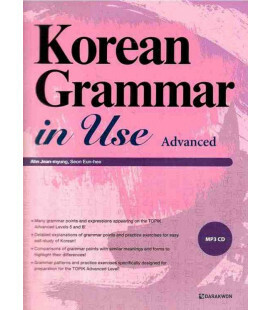 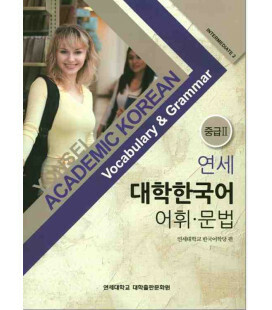 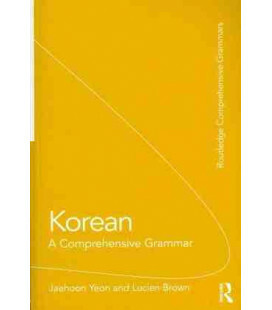 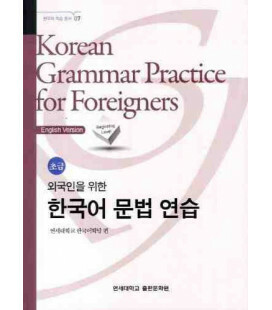 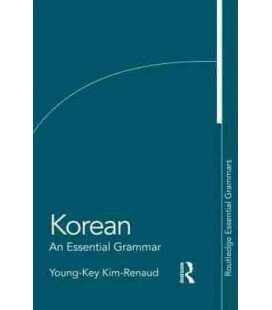 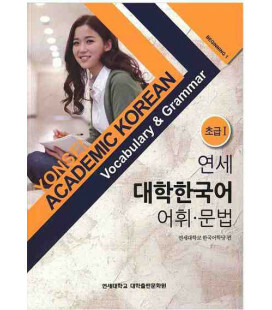 This is the first volume in the Korean Grammar in Use series which is best selling book for the learners of Korean, one of the most effective texts for learning Korean grammar. 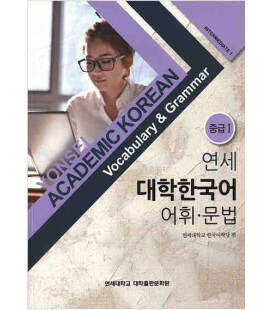 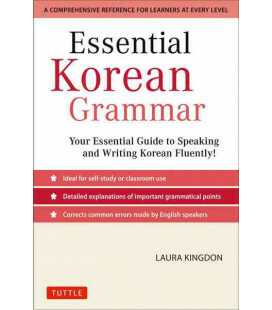 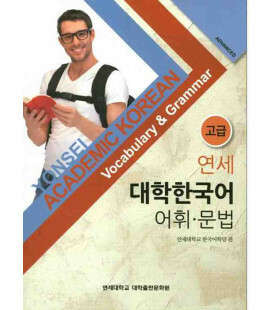 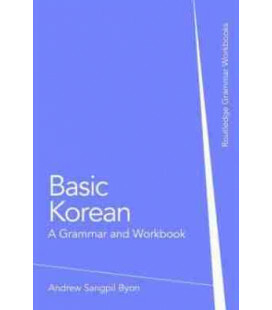 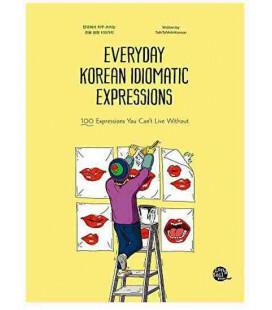 The book is the culmination of educational know-how and systematic grammar organization acquired by the three authors from their experience actually teaching Korean to foreigners in the classroom. 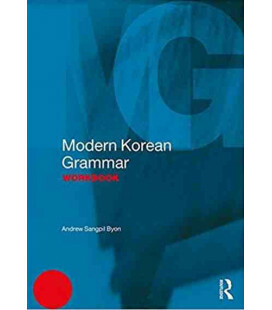 In focusing strictly on Korean grammar, this series represents a departure from most current integrated teaching materials, allowing foreign learners to more easily concentrate on grammar in their study of Korean. 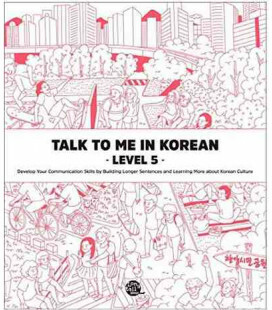 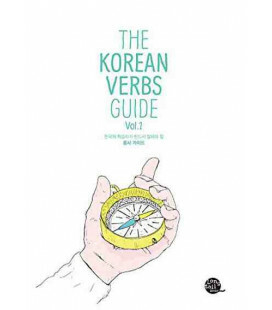 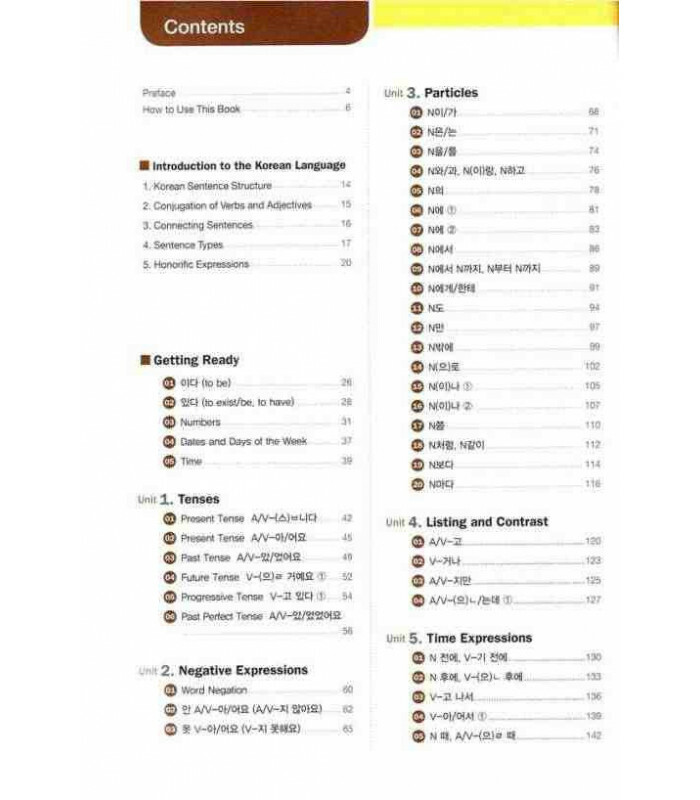 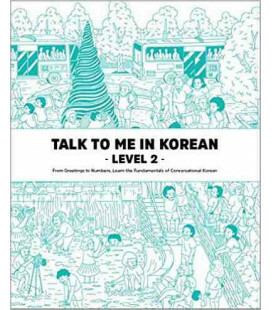 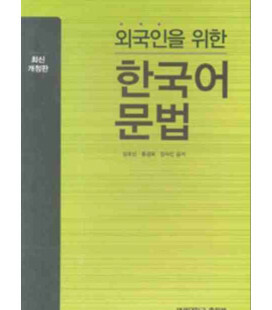 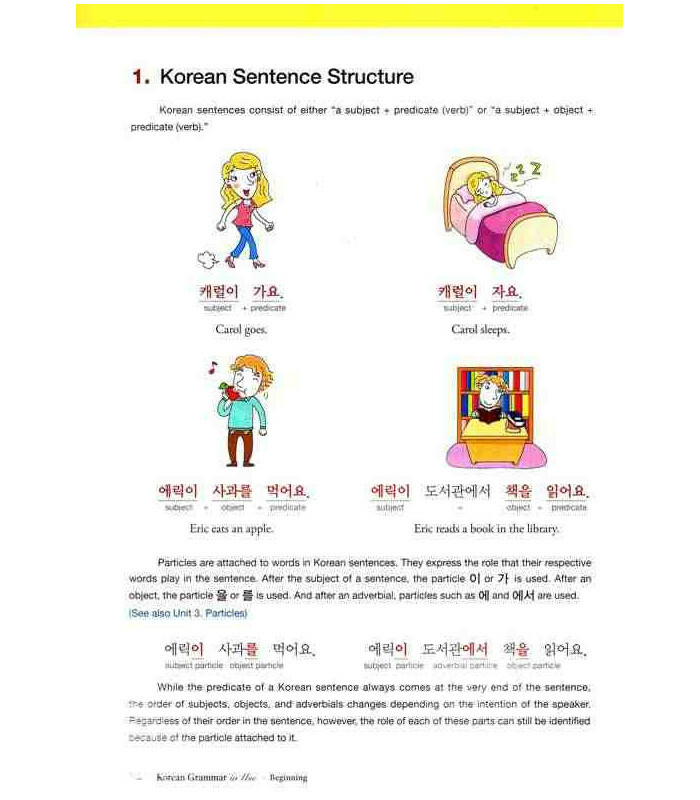 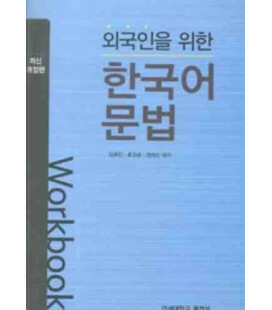 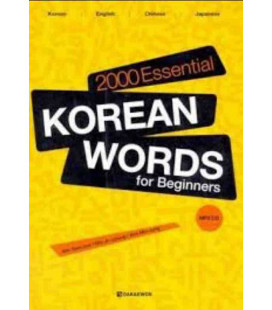 The authors have included real dialogues and illustrations to make the study of Korean more interesting, especially for those students who have heretofore felt Koran grammar to be difficult. 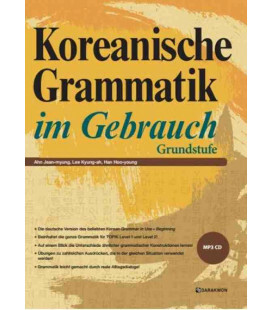 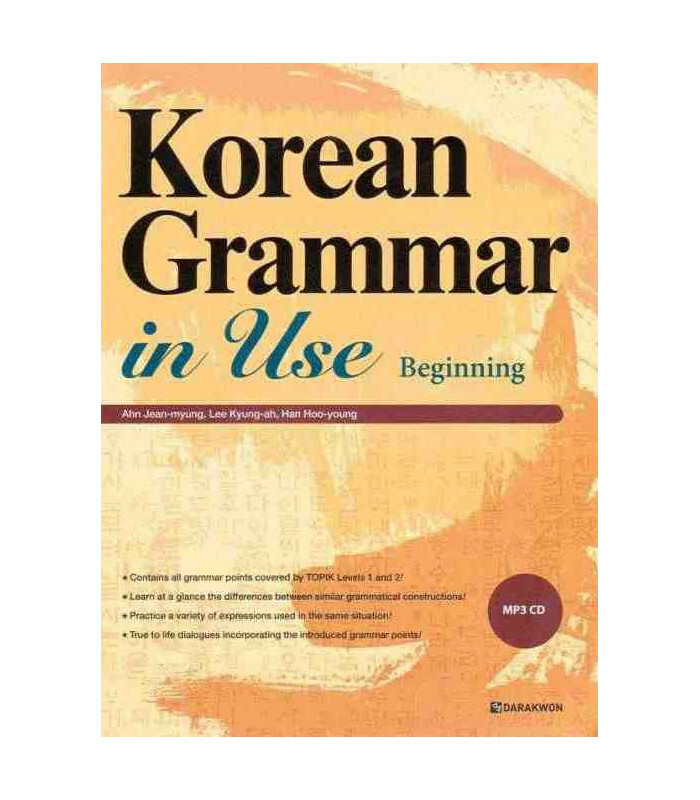 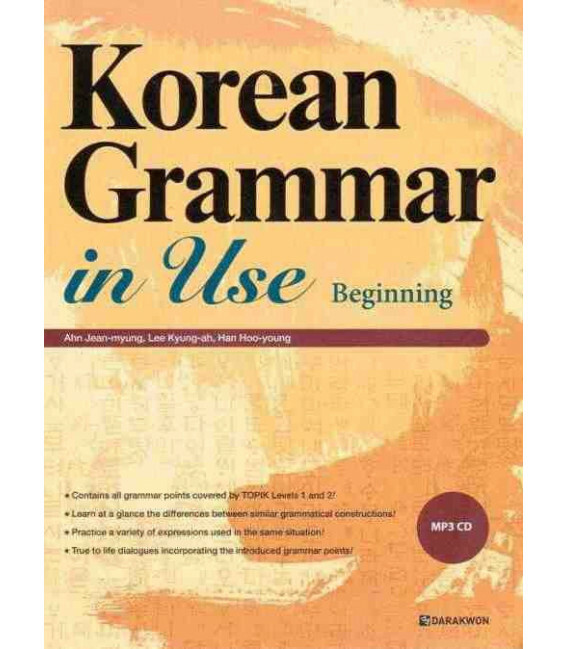 Further, this series equally serves as a general Korean grammar reference that can be used by Korean language instructors both in Korea and abroad who regularly experience the difficulty of teaching Korean grammar first-hand. 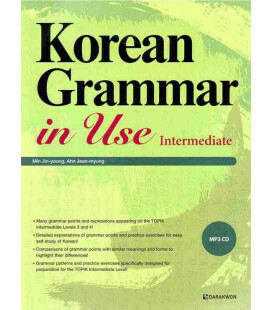 • Collects the introductory grammar points normally taught in Levels 1 and 2 at most university affiliated and private language institutes. 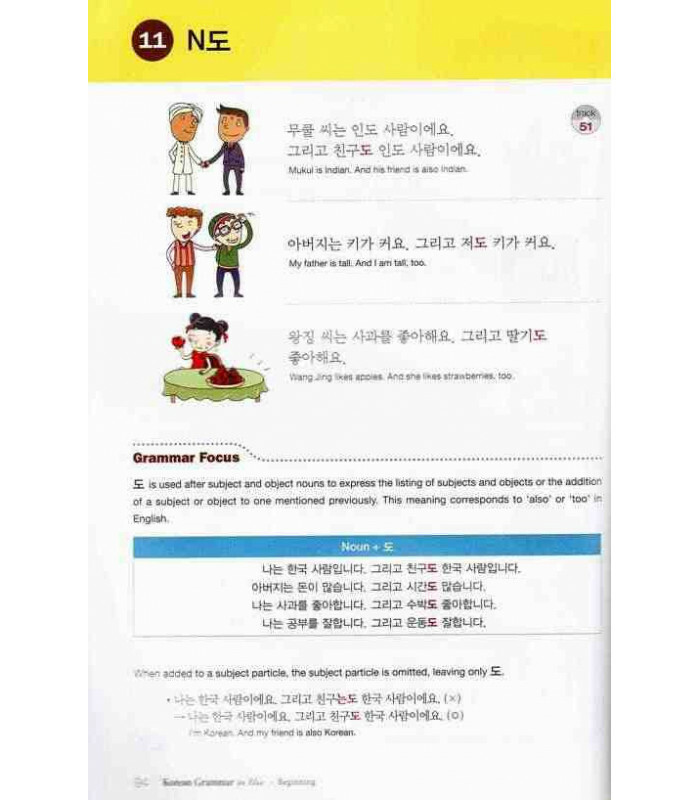 • Makes it easy for learners to locate those grammar patterns they find the most confusing by providing comparisons of patterns similar in meaning and usage. 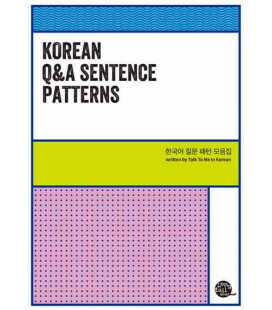 This way, learners can not only clarify the differences between similar patterns, but also study how they are used differently depending on the situation. 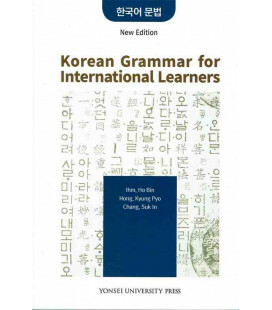 • Lets the learner confirm the usage of target grammar points by illustrating how they are used in real conversation. 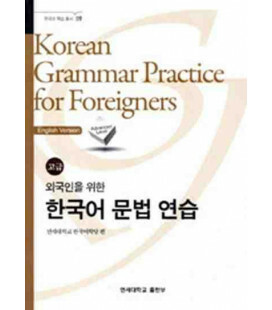 The examples presented are not simply sentences constructed for the purpose of illustrating grammar, but rather examples of how the grammar points are actually used in real life. 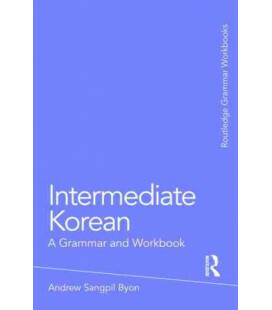 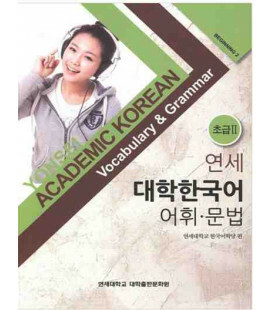 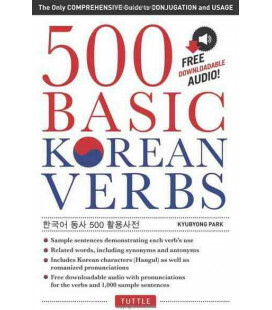 • Includes special sections on particularly tricky grammar points to allow learners to acquire a more accurate and natural-sounding command of Korean. 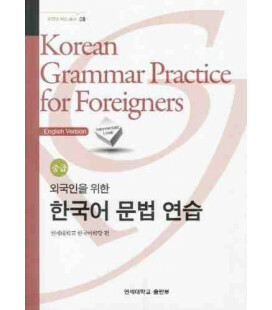 Further, by presenting a variety of grammatical patterns along with both practice exercises and graphic illustrations, learners can approach the study of Korean grammar with renewed interest. 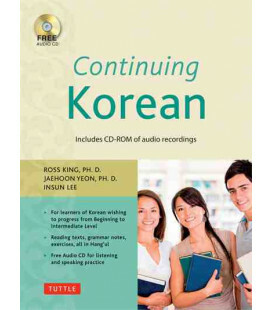 • Include MP3 CD with 226 audio tracks to follow every dialogue throughout the whole book. 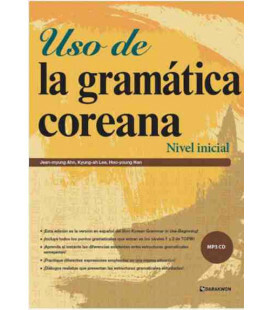 Hola, soy profesora de coreano y me ha encantado este libro de gramática para enseñar a mis alumnos. 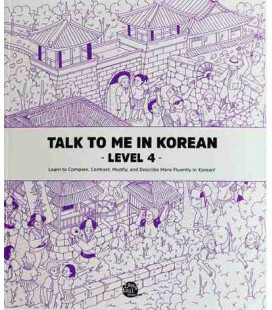 Me parece que está escrito de una manera fácil de entender y me ha gustado mucho "Check It Out!" 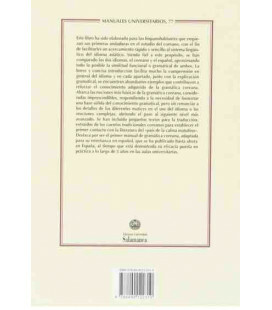 y "What´s the Difference?"